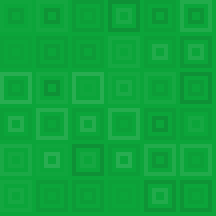 Generate beautiful tiling SVG patterns from a string. The string is converted into a SHA and a color and pattern are determined based on the values in the hash. The color is determined by shifting the hue from a default (or passed in) base color. One of 16 patterns is used (or you can specify one) and the sizing of the pattern elements is also determined by the hash values. You can use the generated pattern as the background-image for a container. Using the base64 representation of the pattern still results in SVG rendering, so it looks great on retina displays. See the GitHub Guides site as an example of this library in action. GitHub Guides use Original Ruby implementation.